Having completed his five-week beginners’ course with flying colours Will receives his certificate from Kevin. Will stuck at the course achieving some good scores on the way with several golds to his credit his constant smile also showed he had a great time. 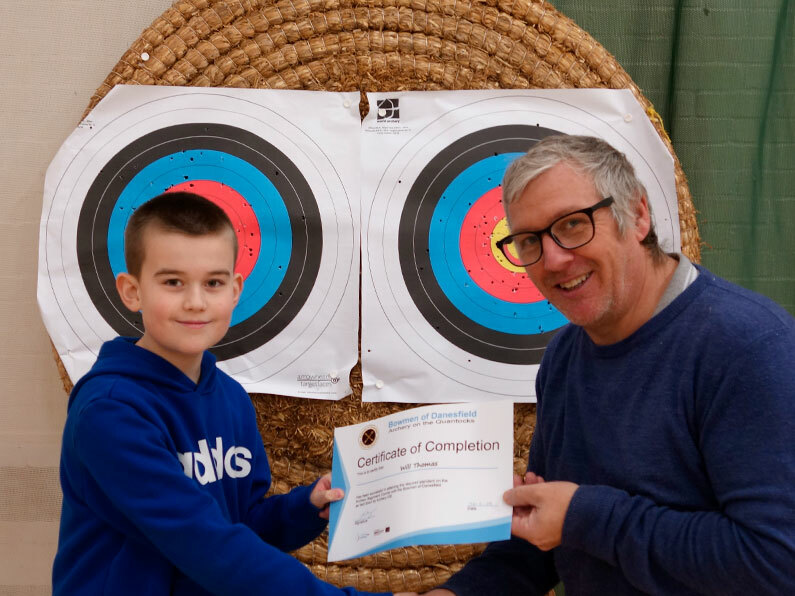 If you are under 18 why not join us one of our archery beginners courses.